Book any future Unlock the Past cruise in 2015 and be in the draw to win a future Unlock the Past cruise up to AU$2500 value – or one of 12 additional prizes – $6000 for cruises booked during 2015. Booking window for entry into this draw extended to Monday 18 January 2016 (6pm). Choose from any cruises currently open for booking. Click here for the latest list. 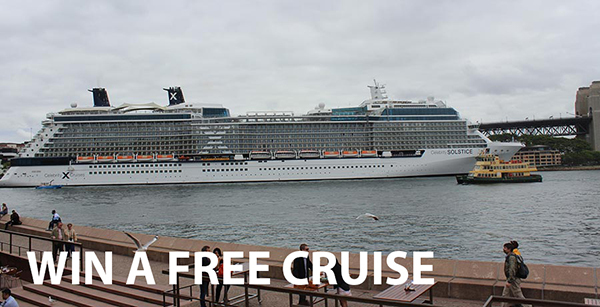 should you book 2 or more cruises, you get 2 or more chances (draw entries) in the draw. However only one prize can be won by an individual. If you are drawn twice, you will win the higher valued prize. the prize/discount will be applied on the relevant cruise as discount on final payment when this is due. If the final payment date has already passed (i.e. cruise is imminent), it can still be used on a subsequent cruise.